The Terra Linda/Sleepy Hollow Divide Open Space Preserve attracts outdoor enthusiasts. Tucked away in the northern part of San Rafael, the Terra Linda neighborhood offers residents gorgeous scenery, easy access to nature and amenities, and a strong school system. 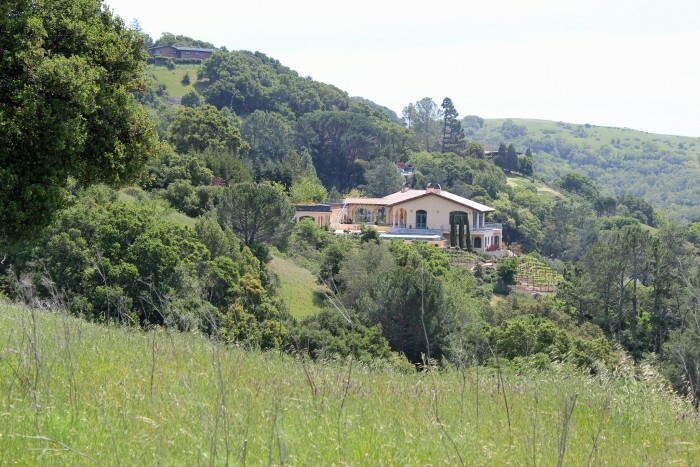 Terra Linda is Latin for “beautiful land” and two main thoroughfares run through the neighborhood: Del Ganado Road and Manuel T. Freitas Parkway, both of which dead-end in beautiful Marin County Open Space District land. The Terra Linda/Sleepy Hollow Divide Open Space Preserve attracts outdoor enthusiasts of many types, including joggers, dog walkers, and cyclists. And while Terra Linda consists mostly of peaceful residential streets ideal for families, it’s also home to a number of businesses. Northgate mall, with its movie theater, shops, restaurants, and free summer concerts, sits near Highway 101 in the eastern part of the neighborhood. Meanwhile, Scotty’s Market, a Terra Linda favorite since the 1950s, occupies the anchor spot in a small shopping center on Freitas Parkway. The center, which features several eateries, was the birthplace of Three Twins Ice Cream and the company still operates a store there. Other prominent neighborhood businesses include Kaiser Permanente’s San Rafael Medical Center on Las Gallinas Avenue, and the Marin Independent Journal newspaper, which moved from Novato to Civic Center Drive in 2011. The Terra Linda Community Pool on Del Ganado Road actually boasts two pools: one for adults and another for small children. It’s a lovely spot to enjoy the warm season. Neighborhood children attend the highly ranked Dixie School District. In 2013 the district’s three elementary schools earned state Academic Performance Index scores ranging from 895 to 942 of a possible 1,000. Its Miller Creek Middle School earned a 911. Older students attend Terra Linda High School, which received an API score of 814. When it comes to housing stock, the neighborhood features a number of Eichler and ranch-style properties. In May the average price for a single-family home in northern San Rafael’s 94903 ZIP code jumped 13 percent from a year earlier to $685,600, according to MLS data. During that same period, buyers struggled to get their hands on available properties, with the months’ supply of inventory shrinking from 1.0 in May 2013 to 0.8 in May 2014.